In graduate school, the UO’s Brendan Bohannan didn’t buy into the idea that microbes were simply weird, tiny organisms that play by their own rules. So he set out to weed information from them, especially about their role in the environment. Through collaborations in the UO’s Institute of Ecology and Evolution, the Biology and the Built Environment Center and META Center for Systems Biology since arriving at the UO in 2006, he also turned to exploring the influences of microbes on both the outside and inside of humans and animals. His latest research, published recently in the early edition of the Proceedings of the National Academy of Sciences, provided what is arguably the first glimpse — at a fundamental research level — at microbial dispersal inside any species. 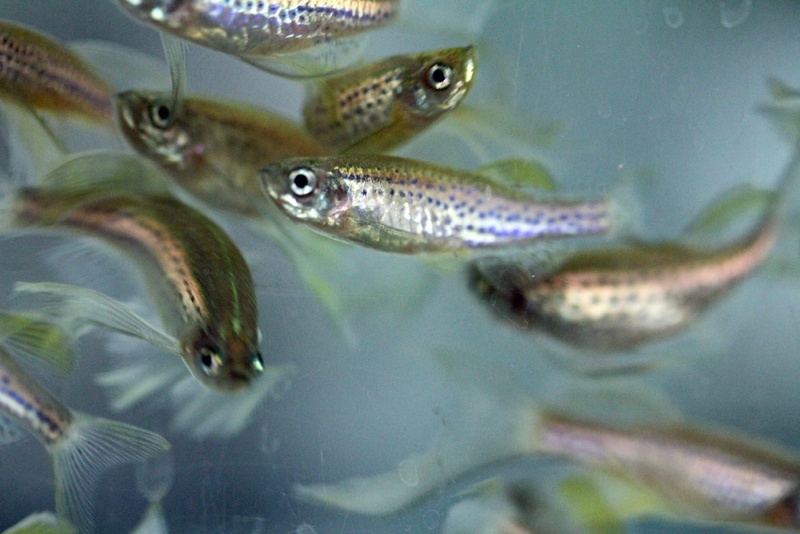 Of course, at the UO that was done inside zebrafish, a research model pioneered here. Dispersal refers to the movement of microbes from one place to another. In a specially devised experiment, led by former doctoral student Adam R. Burns, now a postdoctoral researcher at Stanford University, zebrafish with defective immune systems swam and dined with other zebrafish with normal immune systems. In short order, their gut microbiomes became similar. The National Institutes of Health-supported research was done in the UO’s META Center for Systems Biology. The team found that in a mixed community, the gut composition of the zebrafish converged. Surprisingly, Bohannan said, fish raised separately as part of groups of the same kind — immune-defective or immune-intact — also had gut communities similar to those raised in mixed groups. All they shared was the water in their tanks and food. “This result suggests that the movement of microbes does more than just mix microbes between different fish, but it also selects for particular microbes that are especially good at moving from fish to fish,” Bohannan said. While the study looked only at the ability of fish to exchange microbes, it suggests that microbiome variation among different people might also be influenced by the movement of microbes. When people come together for a class or a meeting, for example, they may depart with a microbiome that is somewhat different than when they entered, Bohannan said. His newest research, he added, was hatched as an idea in a 2012 paper in the journal Science, but how to approach it experimentally was elusive.